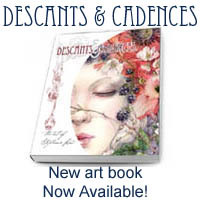 175 pages, softcover. 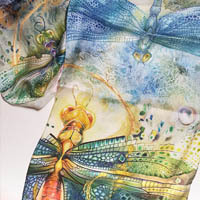 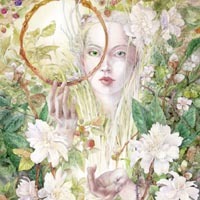 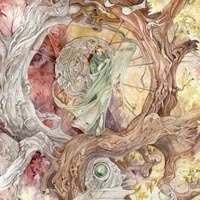 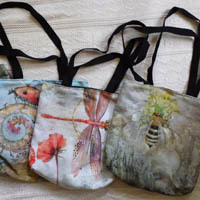 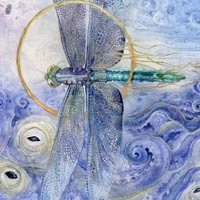 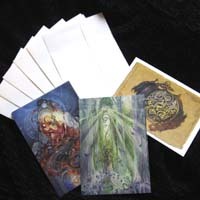 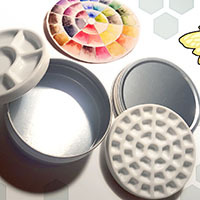 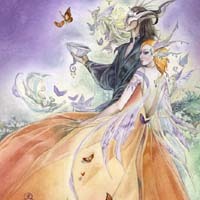 Dreamscapes: Creating Magical Angel, Faery & Mermaid Worlds with watercolor. 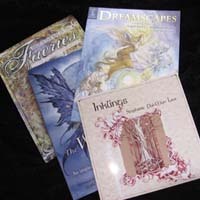 When you purchase from Shadowscapes, your book is autographed. 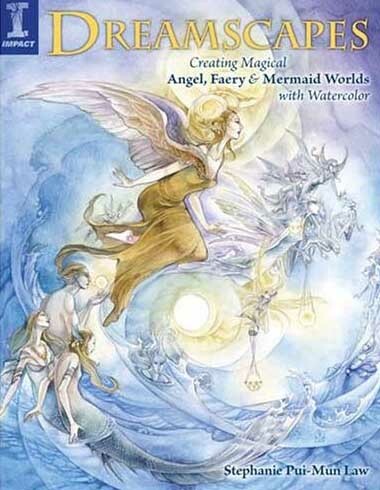 Dreamscapes is a unique guide to painting beautiful watercolor angels, fairies and mermaids in their own worlds (celestial, woodland, garden, sea and castle scenes) step by step. 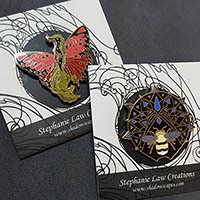 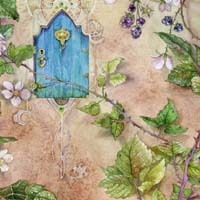 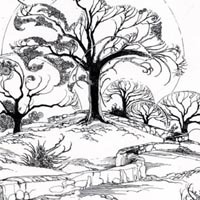 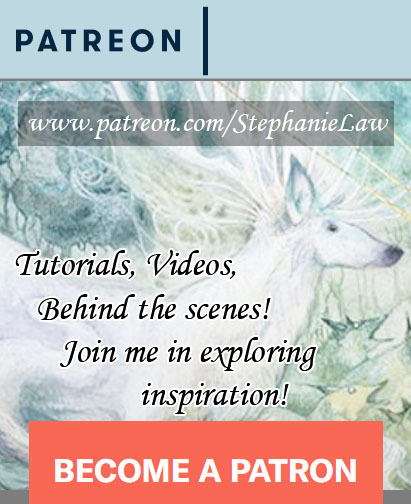 Fantasy artist Stephanie Pui-Mun Law walks readers through her process, showing and describing her techniques for creating fantasy scenes full of wonder and mystery. 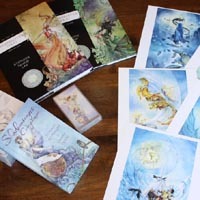 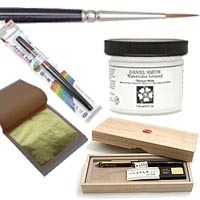 Readers will begin by learning about essential materials, including brushes, paints, paper, then will move on to important techniques such as planning and sketching; figure proportions; specific characteristics of angels, faeries and mermaids (including clothing); developing backgrounds; and finishing techniques that add an air of magic.